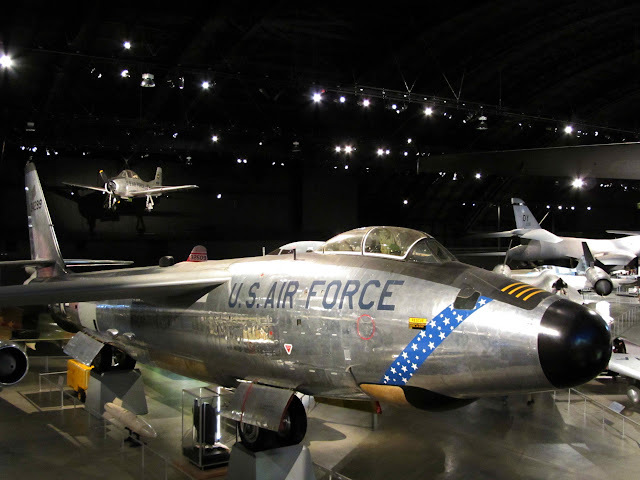 To cap off our aviation adventures in Dayton, we started the day at the National Museum of the United States Air Force located on Wright-Patterson AFB six miles northeast of Dayton. 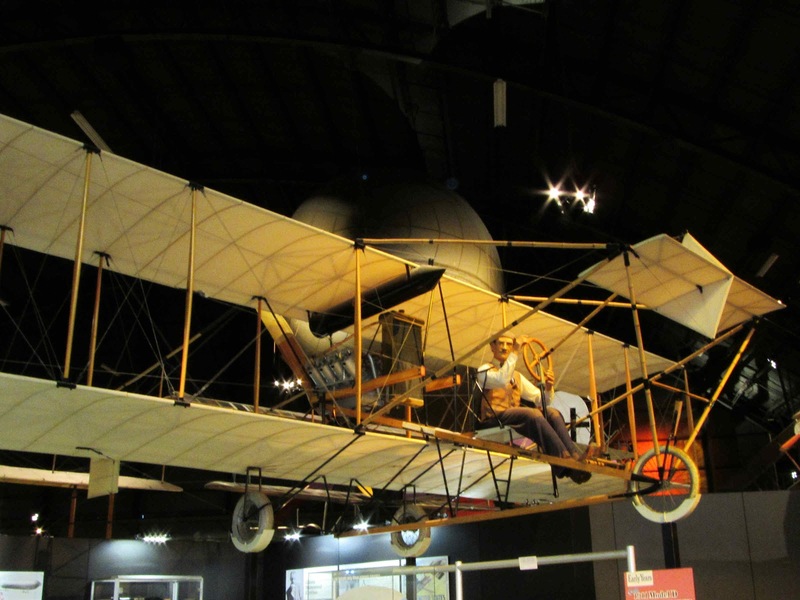 As enthusiastic repeat visitors to the excellent National Naval Aviation Museum in Pensacola, Florida, we were eager to see how our familiar favorite compared with the world's oldest and largest aviation museum. With its Dayton location and a collection begun in 1923, the Air Force museum's extensive gallery of flying machines from the early years came as no surprise. 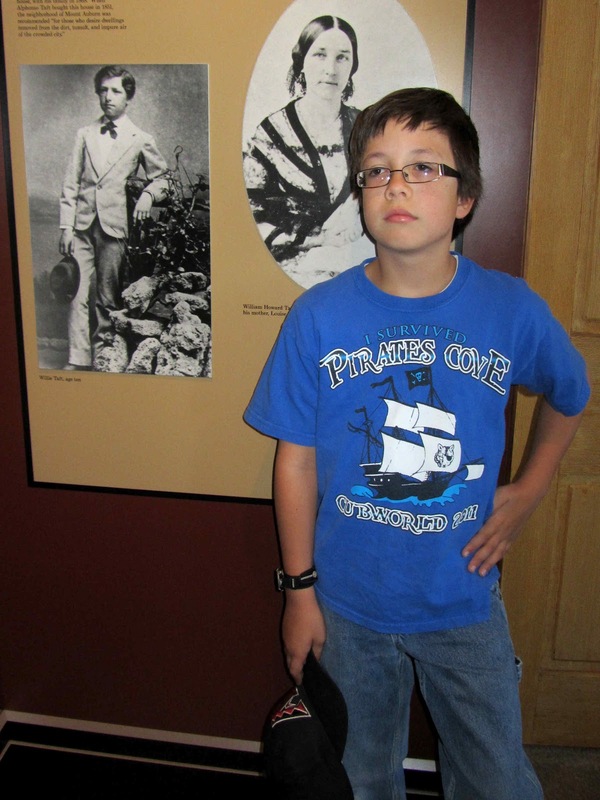 The work of the Wright brothers is well-documented and a couple of their original wind tunnels are on display. An entire gallery is devoted to meticulously restored aircraft from the World War II era, both American and foreign. Included is the B-29 Superfortress bomber used to release the atomic bomb on Nagasaki. 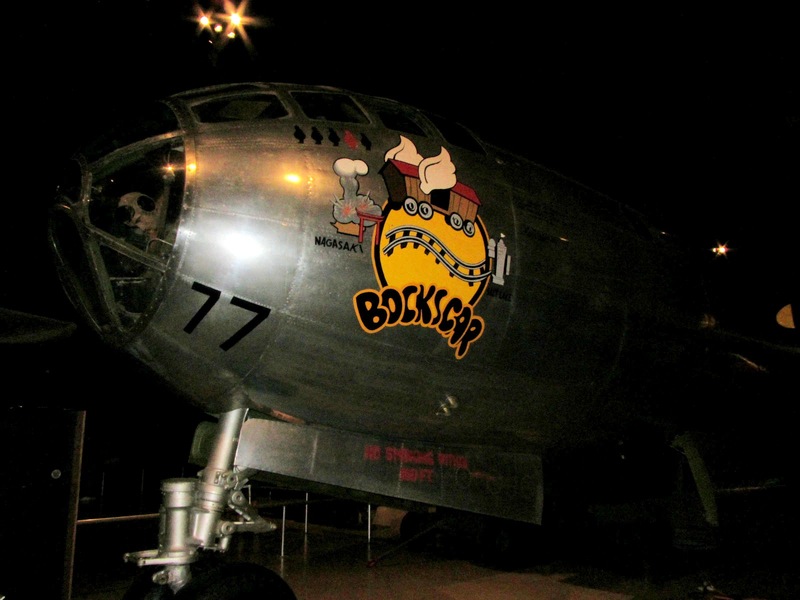 Like other bomber aircraft on display, Bockscar (a play on the name of its commander Captain Bock) was decorated with what is called "nose art" depicting each mission in which the plane participated. Eerily, the exhibit also includes a replica of the "fat man" bomb used in this historic mission. 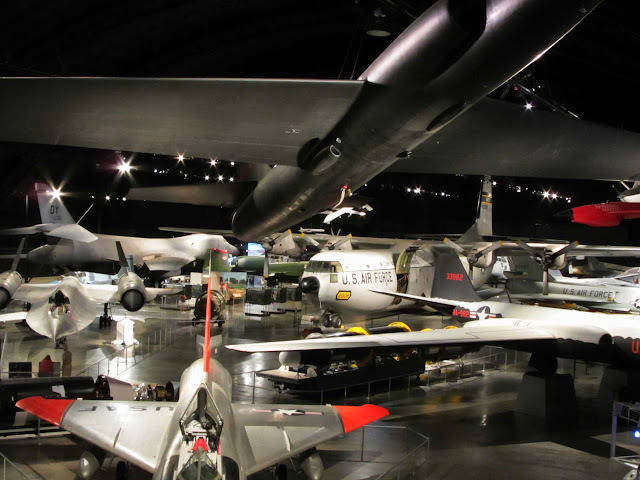 In the Cold War gallery, the star was clearly the Northrop B-2A Spirit, better known as the stealth bomber. This manta ray shaped aircraft is designed with special materials, coatings and technologies to make it virtually invisible to defense radar systems. 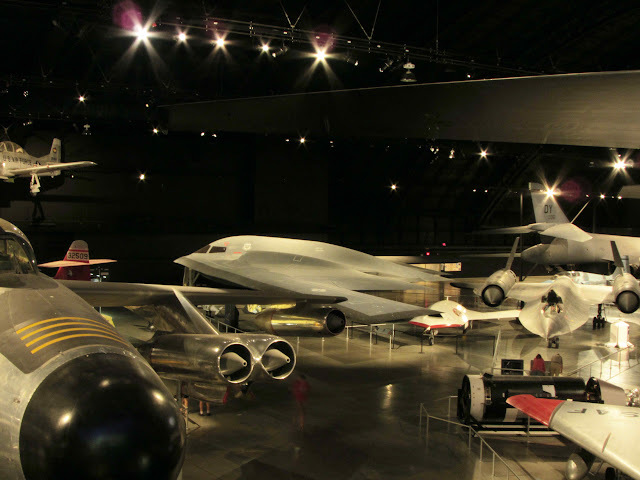 The profile of B-2 Spirit is unmistakable among other planes. Galleries in the museum are spread among three large hangars and connecting halls. The National Aviation Hall of Fame, with its own interactive exhibits, makes its home in a facility between hangars. Steven pronounced this a difficult museum for him to visit, as he felt compelled to take photos of every aircraft. He obtained the last two stamp cancellations in his aviator passport for the Wilbear Wright prize, which he'll receive at home by mail. 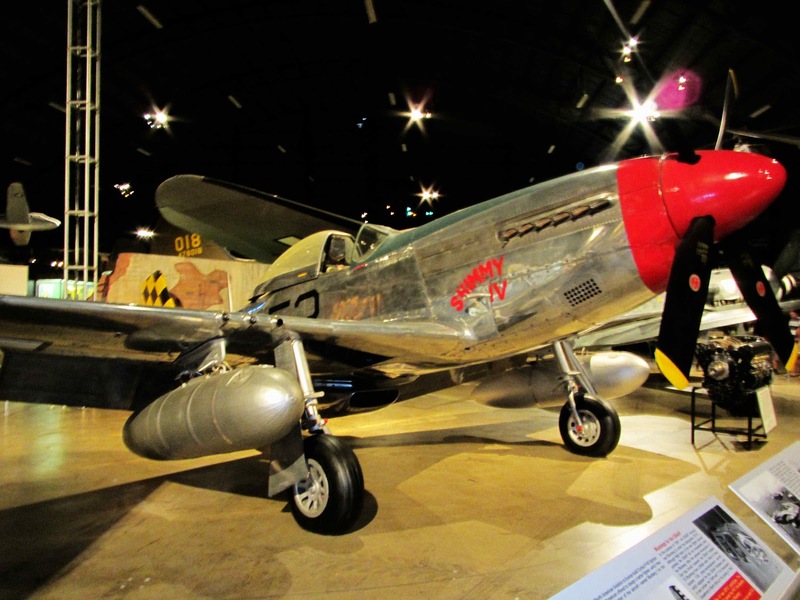 At more than twice the size of Pensacola's Naval Aviation museum, the Air Force museum's collection is far superior in both breadth and depth. 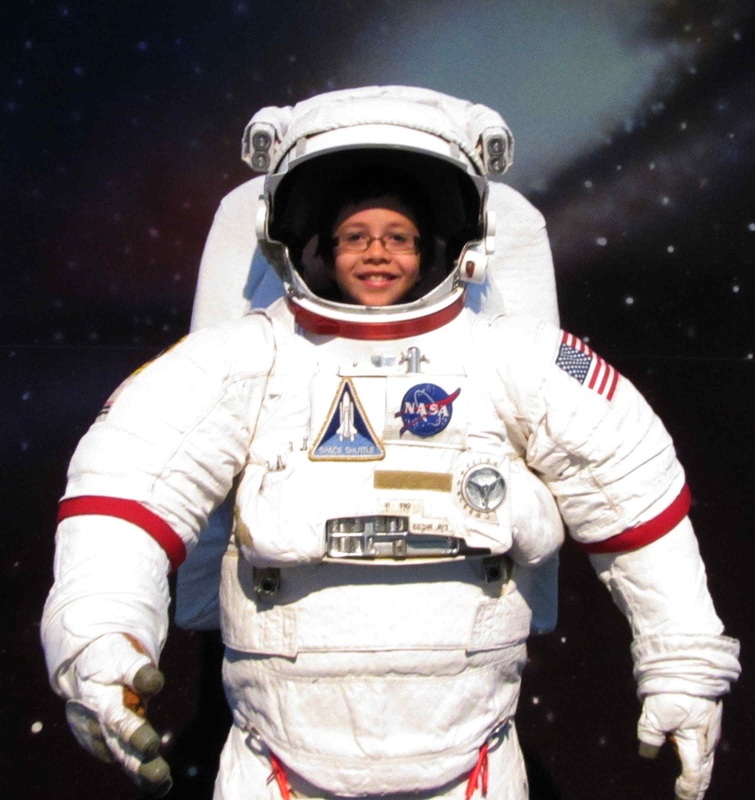 However, the Navy facility includes numerous well-conceived vignettes that put the visitor in the context of where some of the aircraft were used. For example, an authentic "ready room" on a World War II aircraft carrier lets you sit in the seats where pilots perched while listening to orders for their next mission. The Air Force museum emphasizes such experiences less but offers plenty to keep visitors engrossed for a day or even more. After a late lunch at a Dayton-area Schlotzsky's, we followed I-75 to Cincinnati, arriving in time for a tour of the childhood home of President William Howard Taft. Taft lived in this comfortable home in the Mount Auburn section from his birth in 1857 until he left home as a young adult. 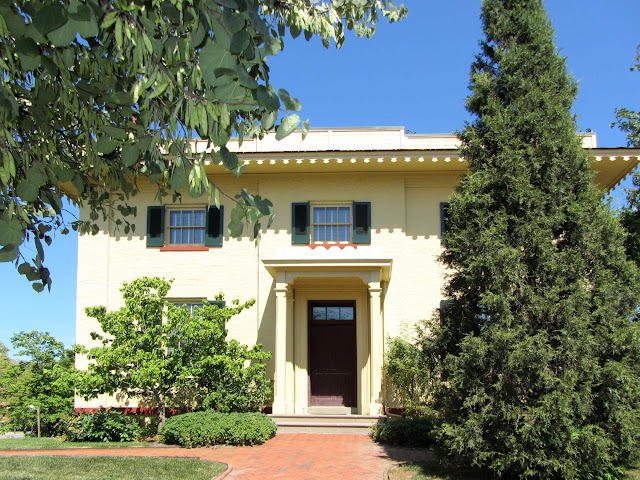 Thanks to Steven's questions, our tour guide dispelled a couple of persistent Taft myths. A crane was not required to move the sometimes obese President's coffin into his grave at Arlington Cemetery. And Taft did not become stuck in a clawfoot tub. 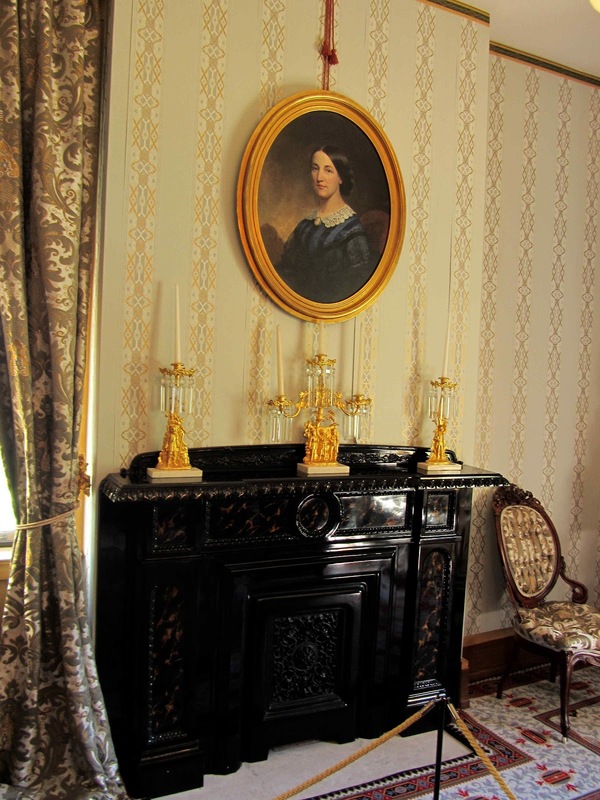 When the White House was fitted with a new tub during the Taft presidency, a false story spread suggesting that his size made the change necessary. It is sad that Taft is best remembered by such references to his girth when most Presidential scholars actually rate his effectiveness in office in the top half of all Presidents. However, he suffered the misfortune of having an administration sandwiched between two of the most highly respected Presidents in our history: Theodore Roosevelt and Woodrow Wilson. What's really remarkable about this misunderstood man is the breadth of his public service. After graduating second in his class at Yale, Taft obtained a law degree at the University of Cincinnati. By age 34, he was a sitting judge on the U.S. Court of Appeals, having already served on the Ohio Superior Court and as solicitor general of the U.S., representing the federal government in cases before the U.S. Supreme Court. Before his Presidency, Taft spent a term as governor-general of the Philippines and served as Roosevelt's Secretary of War. 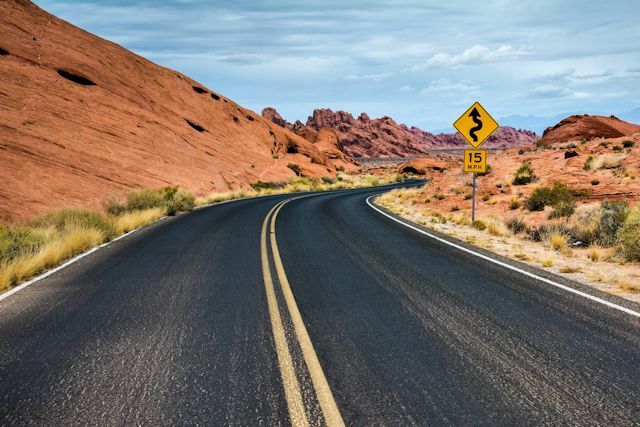 His final public office was not the Presidency but Chief Justice of the Supreme Court, where his work to improve fairness and efficiency in the federal judicial system earned him praise from scholars and the legal community. Steven, age 9, imitates the pose of Willie Taft at age ten. Having learned all we could from the Taft staff, we still had to plant our Ohio letterbox before leaving Cincinnati. After all, Kentucky was just across the river. With only a couple of false starts, we settled on Burnett Woods Park near the University of Cincinnati, finishing up just in time to follow rush hour traffic into the next state, where we continued south before settling in for the night at Lexington. "I don't have to take pictures of all the planes, just the amazing ones... But they're all amazing!" "I'm the son of a photographer. What can I say?" We tried to keep count but lost track of all the places bearing the Wright name in the Dayton area: Wright-Patterson AFB, Wright State University, Wright Memorial Public Library, Wright Brothers Elementary School, Wilbur Wright Middle School, Wright Brothers Institute, Wright Research Group, Wright Center of Innovation, Wright Field, Orville Wright Elementary School, Wilbur Wright High School, numerous streets, and on and on. You certainly can't say those inventive guys aren't remembered and honored in their hometown. 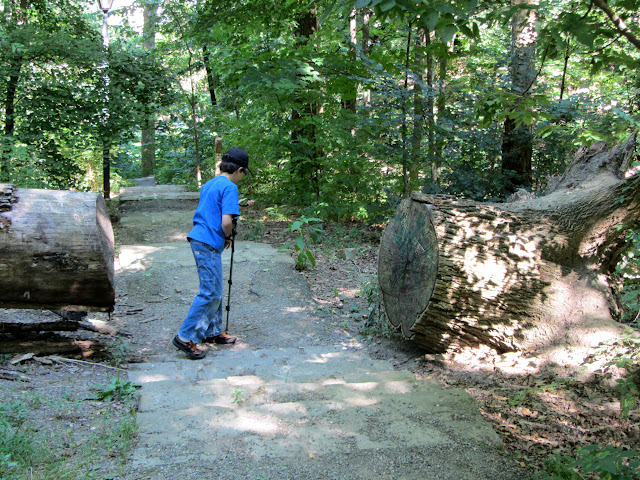 "Follow the trail through the downed tree."